Included below are homes for sale in Antioch, TN. This bustling neighborhood is located just a short 17 minute drive southeast of downtown Nashville and is home to more than 90,000 residents, with the average home price coming in at $198,000. 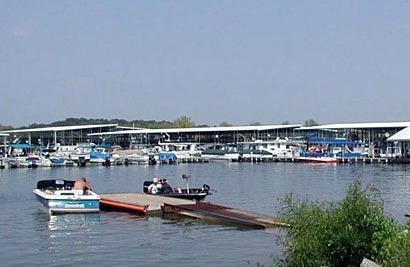 The east side of Antioch provides access to Percy Priest Lake, with Hamilton Creek Marina and Long Hunter State Park just minutes away. William A. Pitts dog park is a friendly spot for your furry friends and Cane Ridge Park is expansive with a variety of activities for the family, including mountain bike trails and disc golf. Antioch, TN is located just southeast of downtown Nashville. A short 19-minute-drive from Music City will take you to the heart of this densely populated city. Home buyers enjoy a variety of Antioch homes and condos for sale that differ in age, price range and construction. The draw to this area is affordability and convenience. Quick access to I-24 and a short commute to Nashville or Murfreesboro as well as getting "more bang for your buck" keeps this a very active real estate market. If you would like more information on any of these Antioch homes for sale, just click the "Request More Information" button when viewing the details of that property. We can provide you with disclosures, past sales history, dates and prices of homes recently sold nearby, and more. And, if you haven't already, be sure to register for a free account so that you can receive email alerts whenever new Antioch homes for sale come on the market. The Antioch real estate market can be best described as "opportunistic". Home buyers will find new homes and condos in some areas while other areas date back to the 1960's, 1970's and more. The range of different neighborhoods and availability of larger homes priced at a better price per square foot of living space makes this area desirable to many families and first time home buyers. Antioch is one of the largest zip codes in the Middle TN Nashville area, 37013. This lends to the diverse nature of homes and communities in Antioch. Single family home prices in Antioch typically range from around $125,000 - $250,000. Conveniently located, quick access to I-24, I-40, Murfreesboro Rd. Antioch is an active community. Families in the Antioch community enjoy convenience to many options for shopping dining and outdoor entertainment. Antioch was recently "the place" for builders buying land and building new homes. In recent years and certainly with the recent economic downturn building slowed similar to many other areas. These neighborhoods in Antioch are back to building and putting homes on those once empty lots. New construction communities can be found in several different price ranges. Antioch has new construction developments in both single family and town home communities.